There are 29 private, semi-private or public golf courses in Sarasota County. Regardless of your golf-time preferences, there is something for everyone. Many private courses offer summer specials to members and non-members. Some have dining packages or drink packages included in the special offers. 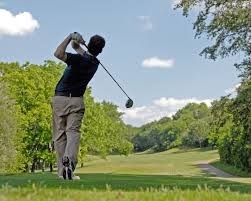 Many golf websites offer the golf specials for different courses. WWW.golfnow.com has a published special right now at Old Corkscrew Golf Club, a Jack Nicklaus ‘Signature Design which is Southwest Florida’s # 1 Rated Golf Course. offers 3 courses that are always affordable. The Meadows Country Club Summer special has Great GOLF, TENNIS, FITNESS, and SOCIAL/DINING ACTIVITIES. All this for just $495. The 18-hole “Highlands” course at the The Meadows Country Club facility in Sarasota, Florida features 6,656 yards of golf from the longest tees for a par of 72 . The course rating is 71.8 and it has a slope rating of 128 on Bermuda grass. Designed by Francis J. Duane, ASGCA, the Highlands golf course opened in 1984. Troon Golf and Sarasota National have introduced a plan to ensure that golfers enjoy their experience, while playing in a reasonable amount of time. The relaxed lifestyle offered at Sarasota National will leave plenty of time to perfect your game or retreat to the 18,000 square foot clubhouse with a grand ballroom, fine dining restaurant and bar. In addition, the club will feature a 10,000 square foot community center complete with a fitness area, tennis courts, and a resort style pool. With Florida’s tropical weather, this course, located in Venice, Florida, can be enjoyed year round. They offer a Weekend fee of $85. These are only a few of the best golf deals in Sarasota county. Leisure living and playing in Sarasota, Florida is why visitors come and return to stay. The active real estate market is also of interest as market values for a spot of Paradise are starting to stabilize and become a good investment again. Whatever your desire is for your active lifestyle, your Realtor is your best starting point to achieve your goals for a Sarasota Florida lifestyle. Visit Sarasota Suze for more info and a look at making Sarasota your Next destination.